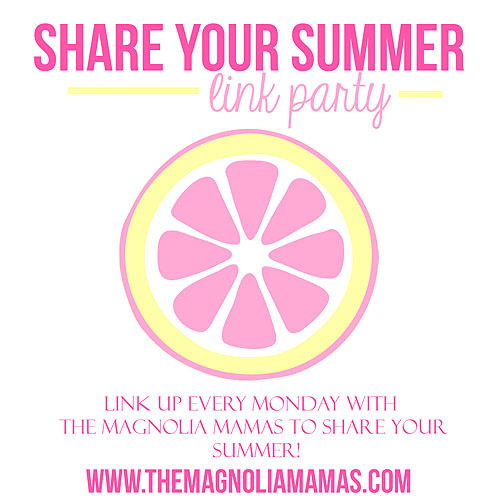 Magnolia Mamas : Share Your Summer - What's in My Pool Bag? Happy Monday everyone! I am super excited about this Share Your Summer topic. If anything, just to make sure I am not the only crazy person who carries literally an entire house hold of stuff to the pool. Am I? This post should have been more aptly titled, "What's not in my pool bag?". First up, let's talk about the actual pool bag. The bag pictured is this one from Land's End. I absolutely love it. It's large, has TONS of interior pockets, a key hook, and a front pocket. It holds most everything you are about to read about, and if that doesn't sell you on it's magical pool bag powers then the fact that you can monogram it will surely seal the deal. I also own this medium sized one. My sister gave it to me one year for my birthday, and I love it just as much. It's smaller, but still holds a ton. It's also a great size for when we are just going for a quick swim, or if we are on a boat. Or quite possibly if I ever went to the pool by myself and just happened to only have with me sunscreen, a magazine and a bottle of water. Ah...a girl can dream. But then how would I get my daily workout? Now for what's inside. Brace yourselves. Why we have so many sunscreens in my bag is beyond me. Typically my go to is the Babyganics brand. Even though it is marketed towards kids, I use it too just to be easy. We use both the lotion and the face stick. 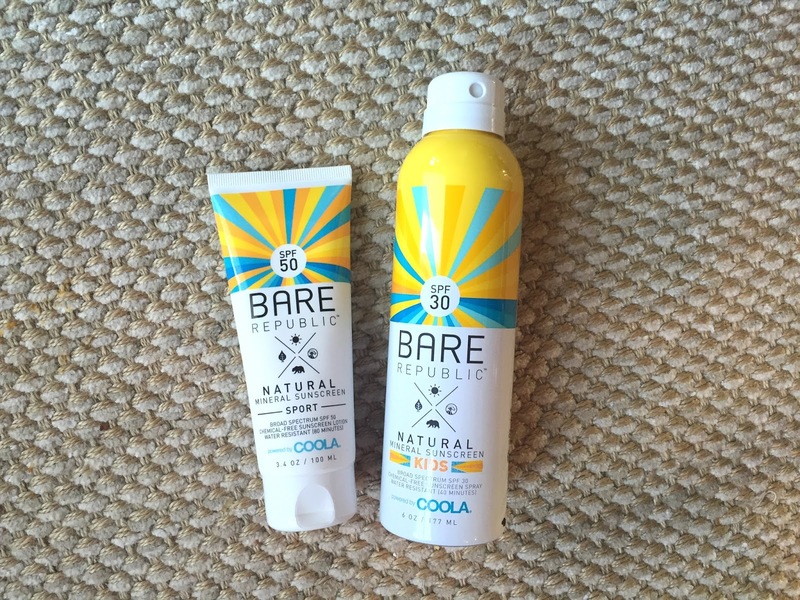 Warning - it goes on super thick and is like paste to get off, but my fair skinned children have never burned while using it as directed, so it's won me over. I also love this new Bare Republic by Coola brand. So far its been excellent in coverage, and I might be weird in saying this, but the scent is divine. That's right I have a camera in my pool bag at all times. You just never know when a fun moment happens or when your child might accomplish some new swimming feat and I like to always be prepared. I use Panasonic Lumix waterproof camera. We've had it for years, and it has survived hours underwater, sand, and extreme kid handling without a complaint. 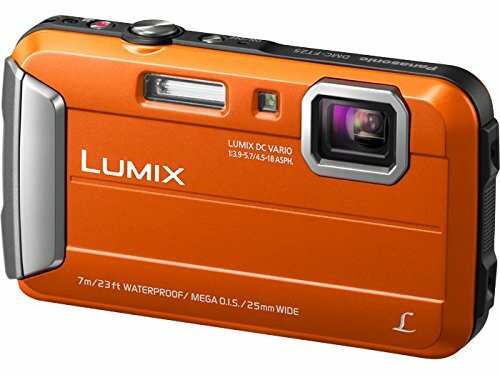 It is the perfect camera just to toss in our pool bag. Plus the kids LOVE taking underwater photos of themselves. Oh my do we have what seems like an endless supply of pool toys. The favorites tend to move around over the course of the summer, but these are pretty consistent. - Water squirters: We like two kinds. This one is always popular and so is this one. Both of my children are young, and haven't mastered swimming independently yet, so we wear and love the Stern's Puddle Jumpers. I usually clip them around one of the straps of my beach bag, and the kids know to wear them anytime we are around the water. I usually bring snacks and drinks to the pool with us. 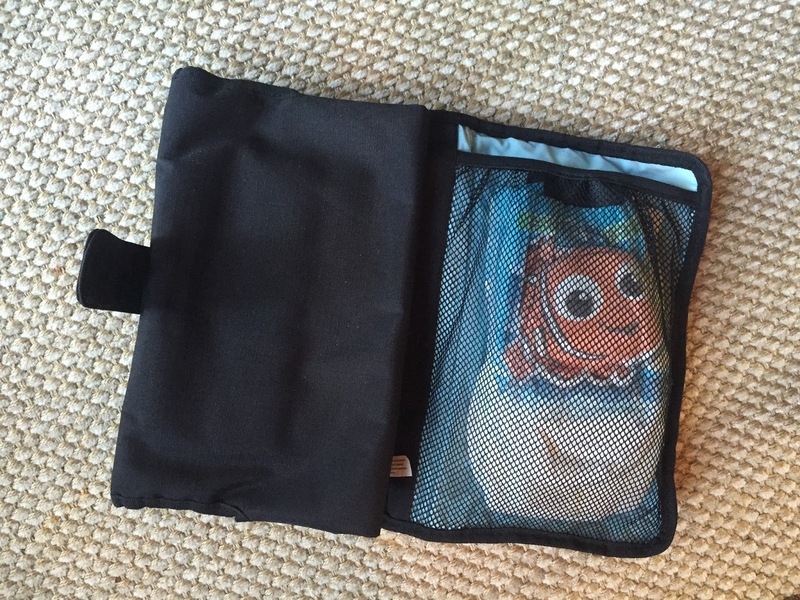 I want the kids drinks to stay cool, and the Thermos Funtainer cups are so far the best we have found.The keep drinks cool for awhile and if dropped on the pool pad, don't break. We spend most of our summer on the water and go through towels like crazy so we have a TON of them. 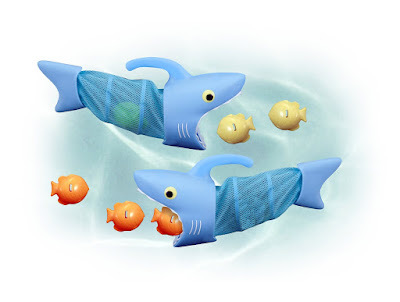 The kids however have a favorite style, and most often these are not left out of the pool bag. 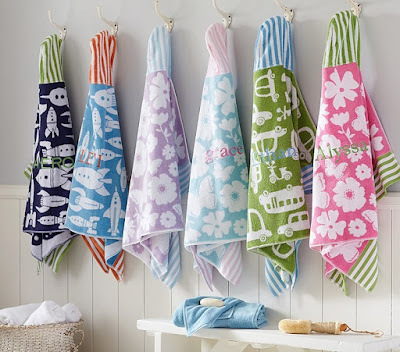 The Cutes love the hooded beach towels from Pottery Barn Kids. We have a few different ones we rotate around, and let's be honest I love I can monogram them. I will spare you the details of anything else in my pool bag, especially that mystery snack that's been at the bottom for awhile. 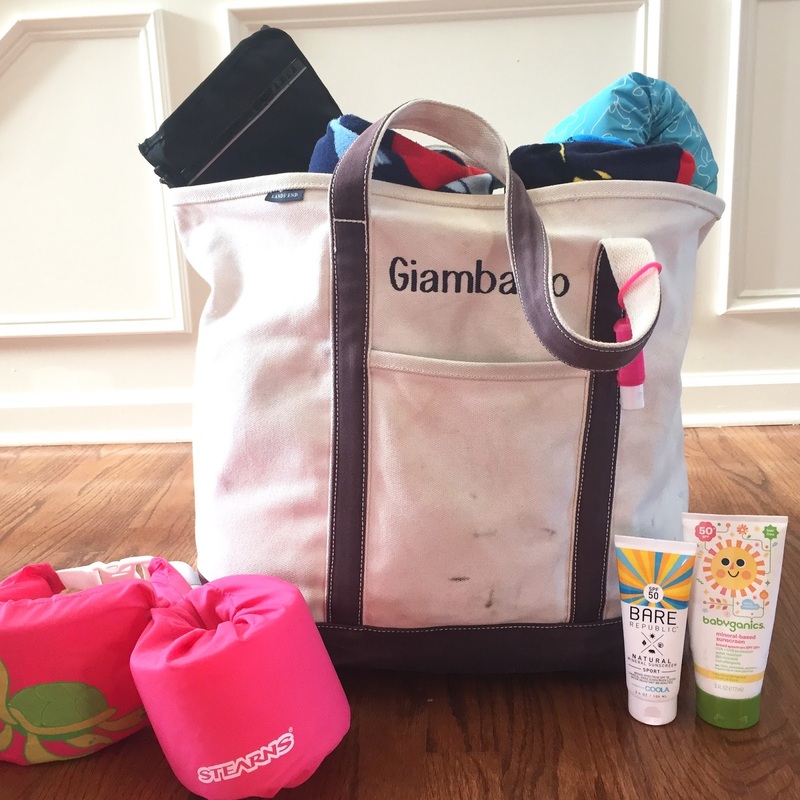 Now tell us, what's in your pool bag? 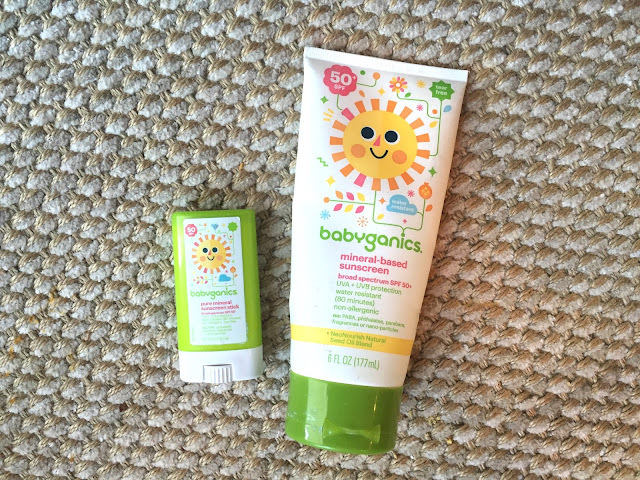 Do you have a favorite sunscreen? Pool toys that your kids love? Share Your Summer with us!